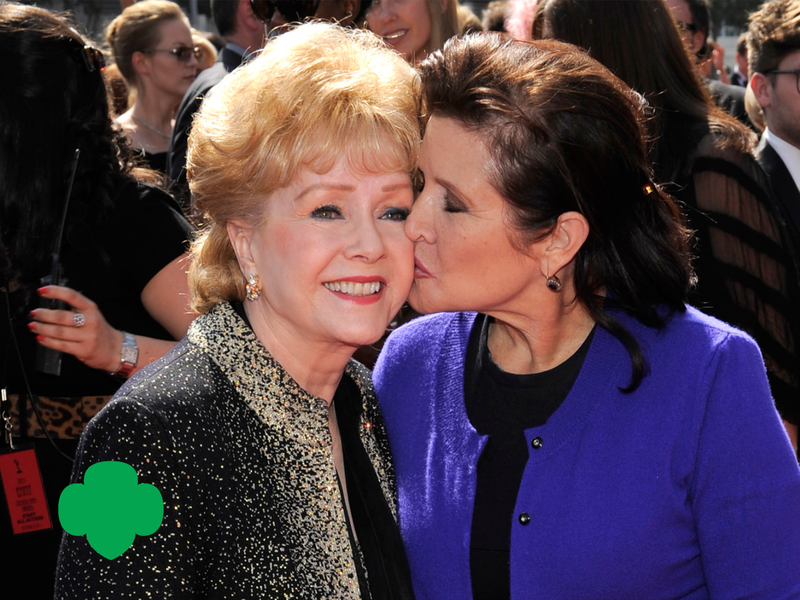 A Tribute to Debbie Reynolds and Carrie Fisher « Girl Scouts of Gulfcoast Florida, Inc.
Actresses, leaders, sources of inspiration—and true Girl Scouts. This week, the world had to say goodbye to two phenomenal women who exemplify what it is to be a G.I.R.L. 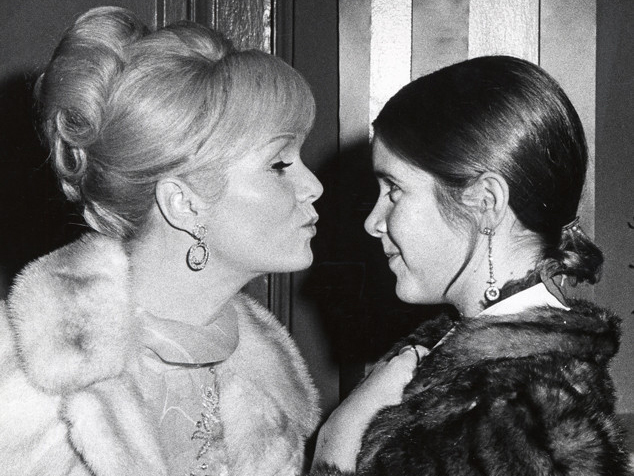 (Go-getter, Innovator, Risk-taker, Leader)™: Debbie Reynolds and her daughter, Carrie Fisher. 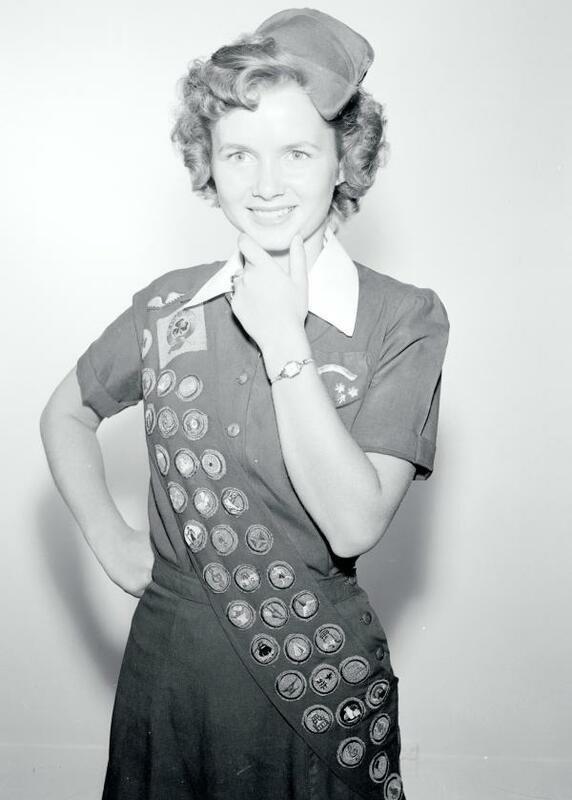 Debbie Reynolds in her Girl Scout uniform. Reynolds’ Girl Scout experience even came in handy the day she met her Singin’ in the Rain costar, Gene Kelly. Unaware that she had no real dance experience, Kelly asked her if she could do a time-step, and she happily replied, “Yes, I learned it at Girl Scout camp!”1 Singin’ in the Rain became one of Reynolds’ most challenging experiences, but her hard work and dedication earned her instant fame and led to renowned roles in films such as The Unsinkable Molly Brown, How the West Was Won, and Mother. When she wasn’t leading secret missions, befriending Ewoks, or saving the galaxy, Carrie Fisher was a writer and producer, an advocate for mental health and drug abuse awareness, and a force for female empowerment.Known as the family bookworm, Fisher spent much of her childhood reading classic literature and writing poetry. She was introduced to acting and singing at the age of 15, performing as a debutante in the Broadway revival Irene, alongside her mother. 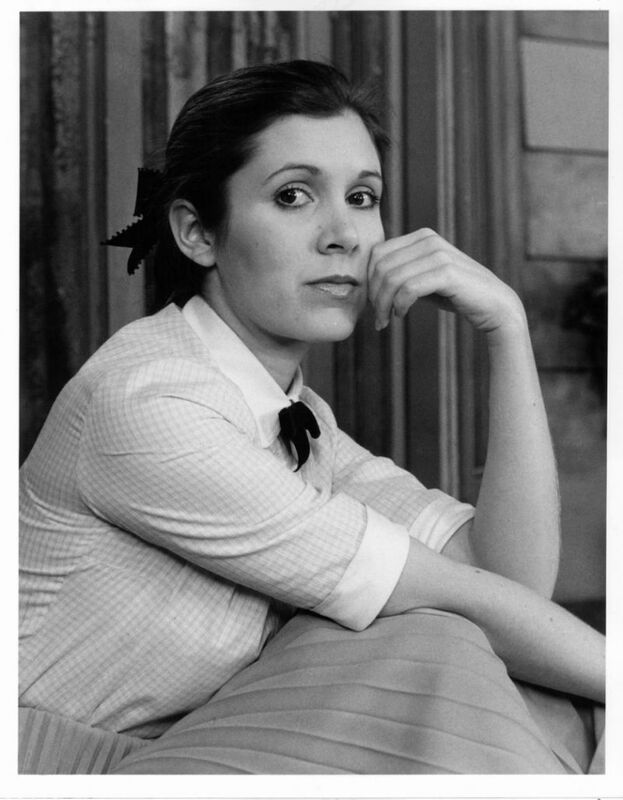 After spending 18 months at London’s Central School of Speech and Drama, Fisher was accepted into Sarah Lawrence College, though she didn’t graduate due to her taking on the role of Princess Leia Organa in Star Wars. Her success as the fearless princess (and later general) of the Star Wars saga led Fisher to roles in The Blues Brothers, Hannah and Her Sisters, and When Harry Met Sally. She also never left her love of writing, penning several semi-autobiographical novels and successful screenplays—one of which, These Old Broads, starred her mother along with Elizabeth Taylor, Joan Collins, and Shirley MacLaine. We applaud and will always fondly remember Debbie Reynolds and Carrie Fisher as original go-getters, innovators, risk-takers, and leaders who inspire girls to work hard and never give up in achieving their dreams. Rest in peace, Girl Scouts.